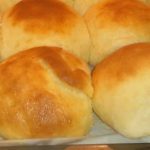 These dinner rolls are simple to make and turn out perfect every time! No need for any special appliances or kneading for these! Leave dough in the bowl, cover with a wet (clean) tea towel and place in a warm place (25C/77F+) to rise for around 1 1/2 - 2 hours or until almost tripled in volume. 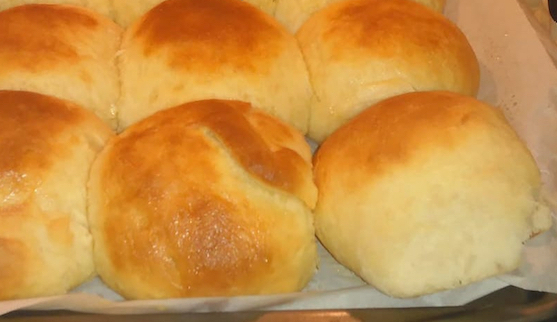 Take one piece and press down with palm, then use your fingers to gather into a ball, flip (so smooth side is up) then roll the dough briefly to form a ball. Partway through, preheat oven to 200C/390F (standard) or 180C/350F (fan/convection). Time saving and good, thanks!